Check out these tips from leading bathroom remodeling contractors in Chicago to make your next home remodeling project a breeze! Building the perfect bathroom for your home is an exciting and challenging home project which can bring out your creative side while improving the quality and value of your home all at once! The key to any successful bathroom remodeling in Chicago is finding the perfect fixtures and amenities to suit your vision. Planning & Budgeting – Plan thoroughly. Take the time to talk with your family and anybody else who will be using the space to find out what everyone’s individual needs and wishes are. This can help you create an appropriate budget and put together an idea of what you’re trying to accomplish. If you’re finding this phase to be a bit of a stumbling block, feel free to contact some remodeling contractors in Chicago for help. Lighting Options – An often-overlooked element of bathroom remodeling in Chicago is lighting. Choosing the right type of lighting can add ambience to your bathroom while properly illuminating your brand-new design and fancy fixtures. There’s also more styles than ever to choose from, including LED lighting, recessed options, wall sconces, and ambient options. Consider the theme and style of your bathroom and your personal needs to find what works for you. Flooring – Flooring can add character during your bathroom remodeling in Chicago. Choose something traditional like tile for easy cleaning and simplicity of design or opt for fancier choices like wood flooring. Less common types of flooring can make a statement, if sealed and treated properly. 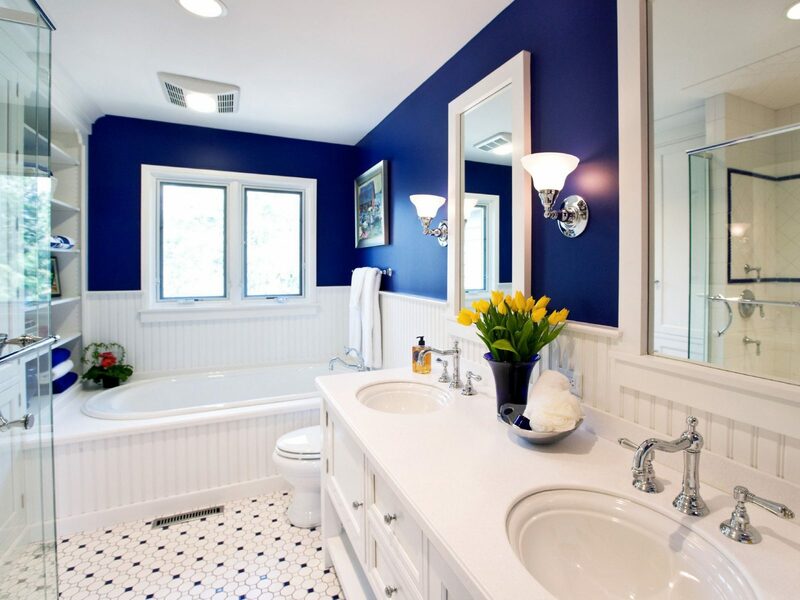 Color Scheme – Talk with some remodeling contractors in Chicago to learn a little bit about color and design to make sure you’re creating a coherent and pleasant theme for your bathroom. Consider offsetting simple designs with more complex and intricate patterns to create variety without overwhelming people.